"Easy Portal for Client Document Gathering"
I love how easy the interface is for clients to navigate. There are always going to be outliers, but most clients are able to use Floify without trouble. I most dislike that there is little modification that you can do. We have a few suggestions over the years and they try to accommodate, but the software seems young still and I think there is opportunity to grow. While our office uses it primarily for document gathering, there are a lot of other features like integration to Dropbox, 1003 application for borrowers to fill out that can convert to FNM files, and other cool things they are doing. The support staff is AMAZING though. They are there to help any time and can even do medial tasks (copying defaults to all users) that save a TON of time if you are revising your templates. The pricing is a little steep, but I think the value is definitely there if you are using all of the features! It is much easier to have all document collection in one place. Our office is now half-remote so it allows all client documentation to stay in one place, instead of our clients emailing to one person and files getting lost in the shuffle. The option that Floify gives realtors to print their own pre-approval letters, after the lender has set the max approval amount, etc. in the system. This saves everyone time and can definitely help realtors out in a time pinch when the lender is unavailable. The advantage I previously listed is a huge business problem that Floify solves for us. Additionally, it is a great pipeline/organizational tool and it ensures that no documents are missed or overlooked. Nothing falls thru the cracks with Floify. 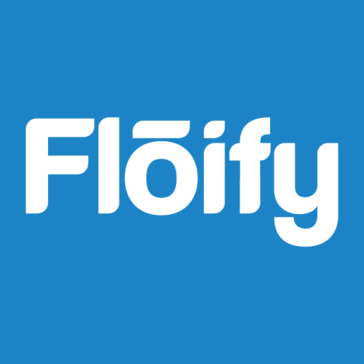 * We monitor all Floify reviews to prevent fraudulent reviews and keep review quality high. We do not post reviews by company employees or direct competitors. Validated reviews require the user to submit a screenshot of the product containing their user ID, in order to verify a user is an actual user of the product. Hi there! Are you looking to implement a solution like Floify?